Design variety of best quality and colorful barcode enabled ID cards, Tags, Stickers, Coupons, Bands and Rolls suitable for specific business needs. 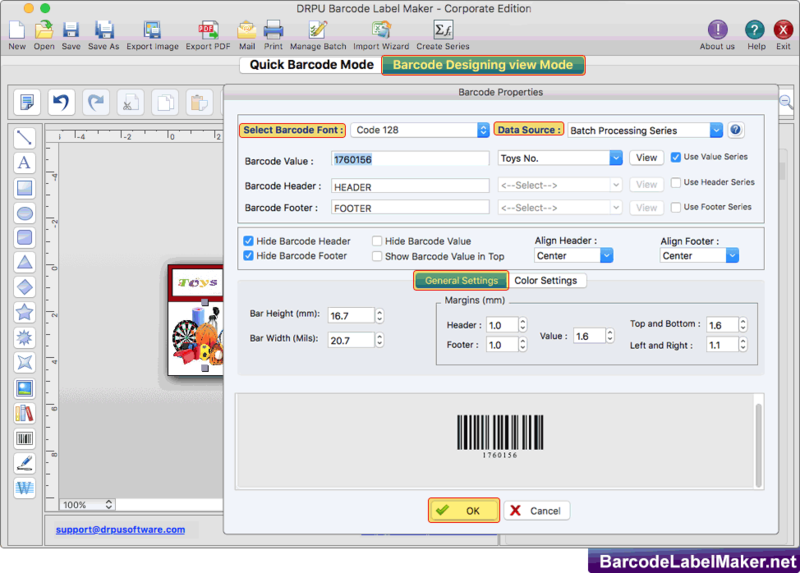 Mac Barcode Maker - Corporate Edition helps MAC users to create and print list of barcode stickers, labels, coupons, tags and images using batch processing series generating feature. MAC Barcode Tool - Corporate supports all major linear and 2D barcode font standard to generate barcode labels on MAC OS X installed machine. 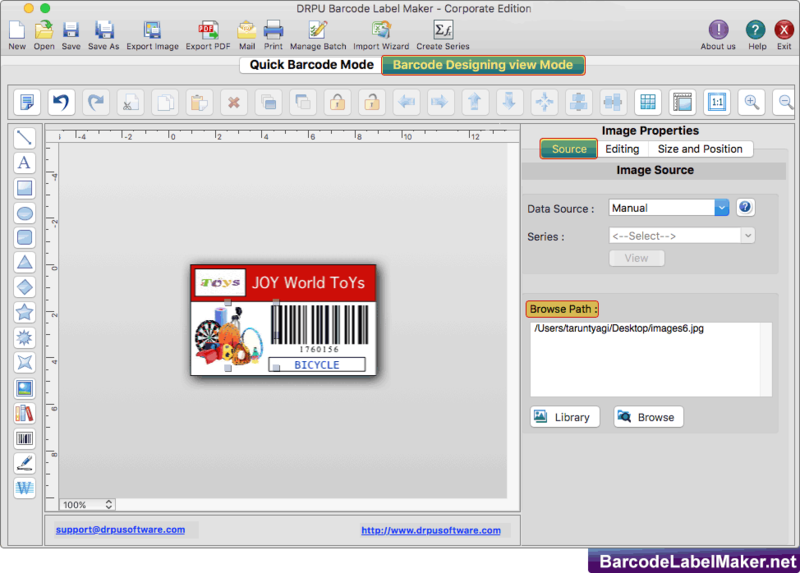 Easily design your own barcode images using various barcode label designing objects such as text, rectangle, line, rounded rectangle, ellipse, barcode, triangle, star, watermark, signature, and images. Program provides inbuilt email settings to send designed barcode labels to single or multiple email addresses. Software provides option to align barcode header and footer. 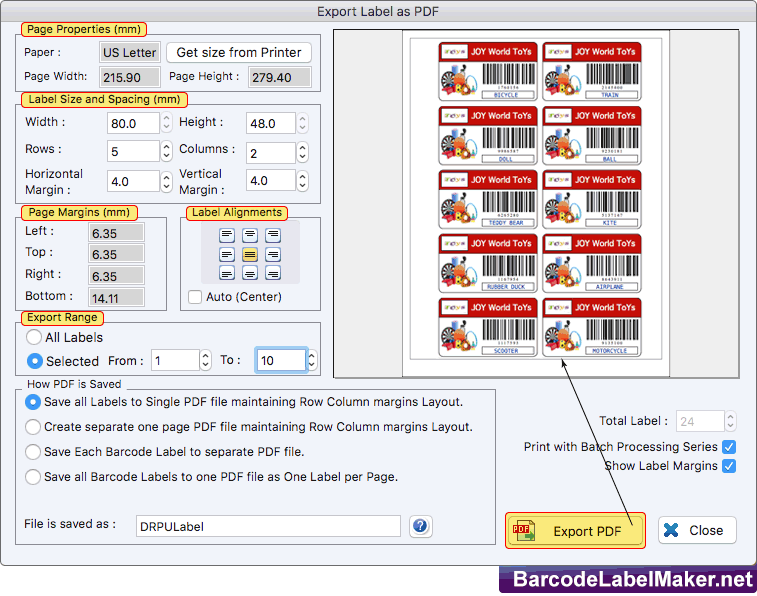 Save or export designed barcode labels in PDF file format. Program has facility to save or export barcode label as image. Using Copy Barcode option of software, you can copy designed barcode label and paste at specified application such as TextEdit, MS Word, MS Excel etc. 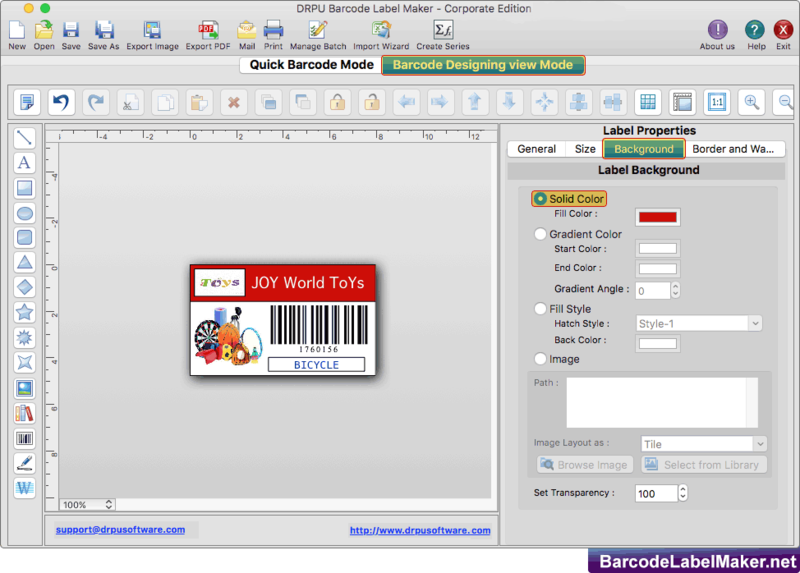 Create colorful barcode stickers using Color Settings available in software. Try barcode software download trial to get familiar features and working capabilities of barcode creator download software. Place order for full version of the barcode download program. Linear Barcode Symbologies: Code 39, Code 128, Code 128 SET A, Code 128 SET B, Code 128 SET C, Codabar, EAN-13, EAN-8, Extended Code 39, Interleaved 2 of 5, Industrial 2 of 5, Modified Plessey, PostNet, Planet, UPCA, UPCE. 2D Barcode Symbologies: QR Code, PDF417, DataMatrix. Design barcode label as per your requirement using various designing objects such as line, text, rectangle, ellipse, rounded rectangle, triangle, images, barcode, watermark and signature. Software has option to add image on barcode label, fill or adjust various image properties to set image on label. Click barcode icon to add barcode on label, fill various barcode properties and click OK button. To save or export designed barcode labels in PDF file format, click on 'Export PDF' option. 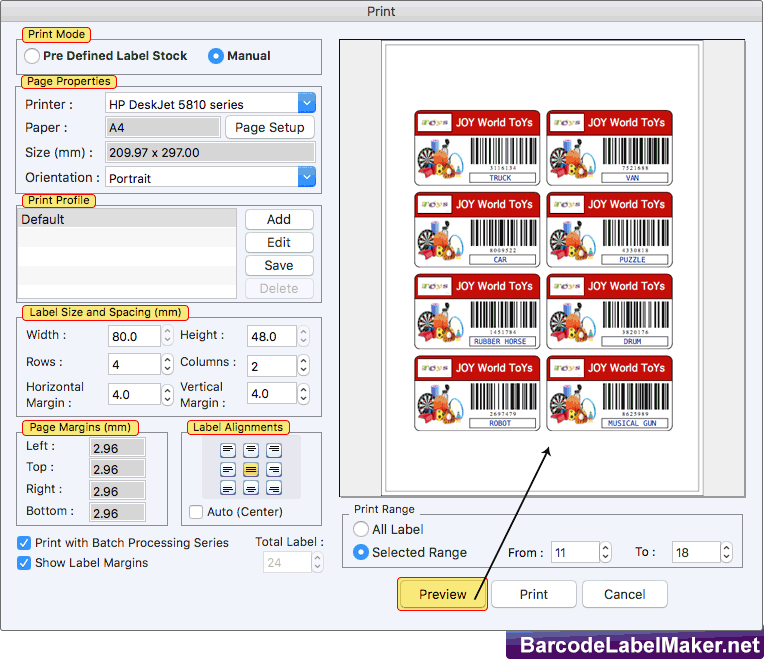 To print designed barcode labels, fill or adjust various print settings and click on Print button. Using Preview option, you can see the print preview of designed barcode labels.